When will I get my order? : Your order will be produced in 3 business days; add ship time from CT. Please refer to this map (Click here for map) to calculate shipping time. 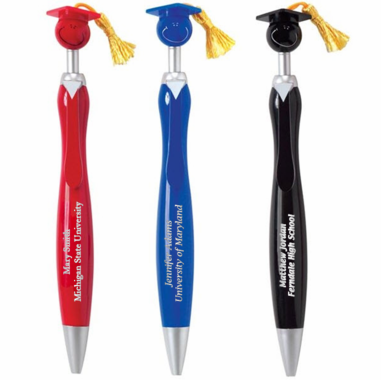 Give your guests something fun and functional with these custom graduation pens. 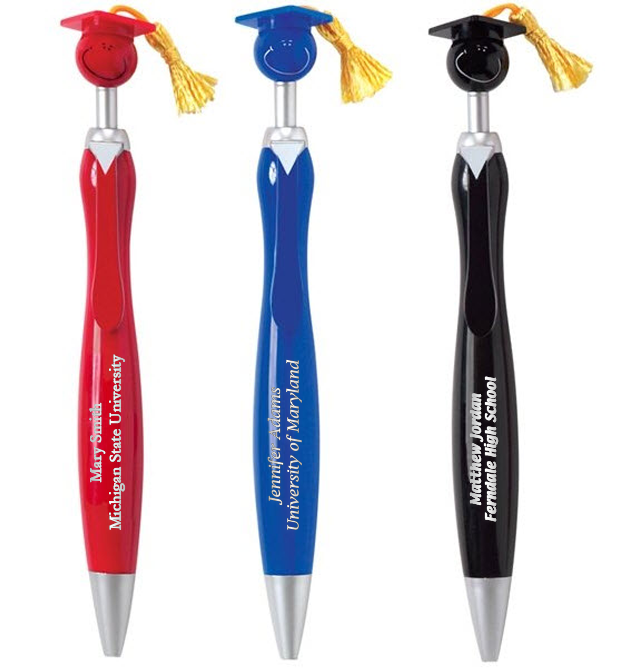 Each one measures 5-1/2" long and features a mortarboard, tassel and clip. Colors include red, blue and black. With click-action, these medium point ballpoint pens with black ink can be ordered blank or with personalization ($30 fee). The imprint area for pad printing is 1-3/8"w x 5/16"h.